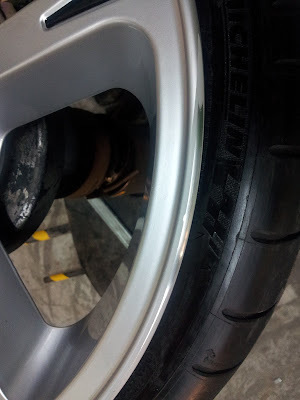 (Above)Restored rim. Can you spot the restored area? (Above)Car raised up with alignment targets mounted to all 4 wheels. 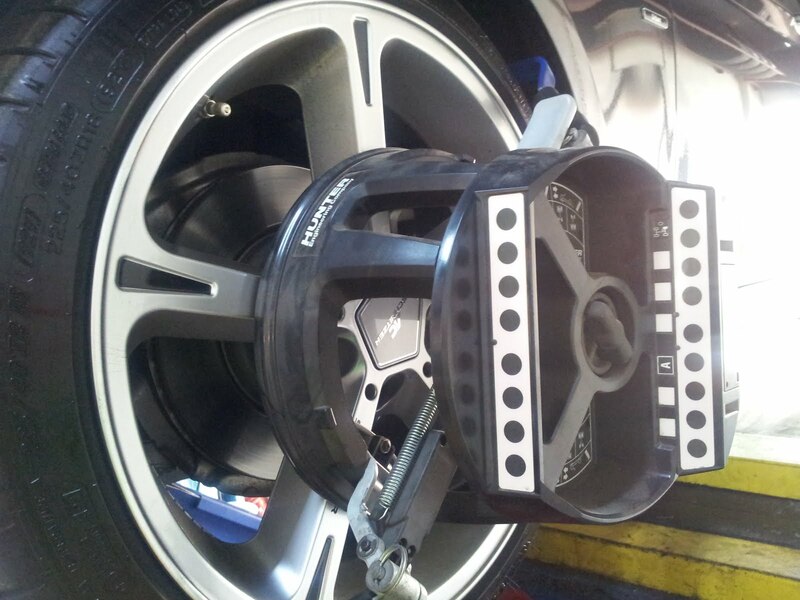 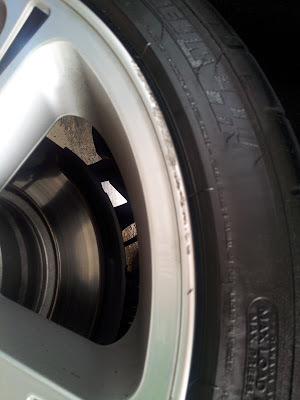 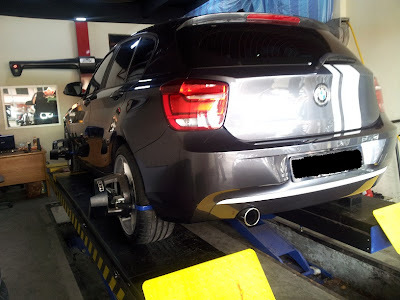 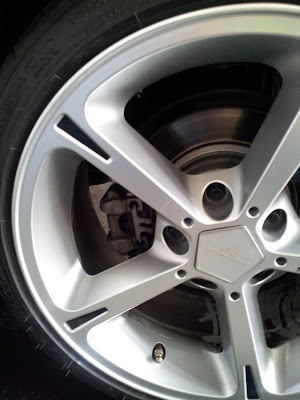 (Above)KDSII wheel alignment targets mounted onto the wheel for precise alignment seting by the machine.